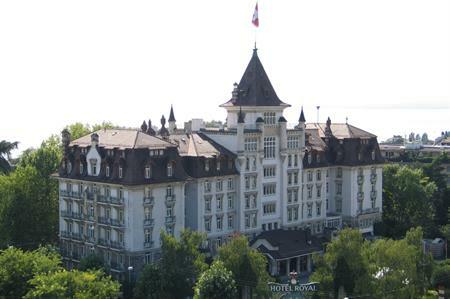 Lausanne Convention Bureau has announced the reopening of the five-star Royal Savoy Hotel after a £66m renovation. The five-year project saw the construction of a new spa facility as well as extensive renovations to upgrade the historic building. The 196-room hotel boasts seven different meeting spaces, which can host a range of events for up to 480 people. Other facilities onsite include a spa, pool and fitness centre, as well as an exclusive terrace restaurant, lobby lounge, cigar lounge and Sky Terrace on the roof, which has panoramic views of the city. The hotel also offers bespoke dining opportunities in the new gourmet brasserie restaurant. Olivier Mathieu, congress and meetings manager at Lausanne Tourisme and Convention Bureau, said: "With some great meeting and event spaces, the hotel will add to a rich choice of conferencing facilities within the city centre and the spa facilities will give our business travellers a great opportunity to relax after a busy day of meetings."